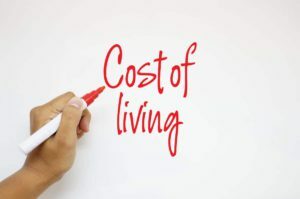 Similar to efforts made in 2010-12, the Cohousing Research Network (CRN) and CohoUS are collaborating on a “cost of living in cohousing” research project. Our intent is to collect new and more detailed information on community budget and finance, and make a report at the May 2017 National Cohousing Conference in Nashville. Your most recently adopted annual budget agreement, as consensed by your community at the beginning of the fiscal year. For most of you, this will be the same as the calendar year, ending in December 2016 (thus, FY16). We’d like to see the whole proposal you processed and adopted, including schedule/timeline, text narratives, tables of numbers — whatever it was you considered during the budget adoption process. We do NOT need to see any information about the fees or dues assigned to individual units. If you have one, any EOY (end of year) financial report you obtained for the previous fiscal year (probably FY15 ending in December 2015). Again, take out any unit-specific information. When we have this material in hand, we will translate the data into our own analytic model, lump it together with other data, and analyze it to expose patterns and develop conclusions we think will be useful to all cohousing communities. Confidentiality. Anything you send us will be guarded in strict confidence. Only the conference panelists and members of the CRN Steering Committee will have any access to your original files. Your community’s detailed information will NOT be shared with consultants, vendors, or even the Board of CohoUS, and none of our public reports will be in a form where the particulars of your community can be identified. Questions or Comments? We will soon be seeking to contact many of the communities in our cohousing directory, but we encourage you to reply to us now. If you are ready to volunteer information, you can e-mail to costofliving@cohousingresearchnetwork.org. Or, if you have questions or comments, please get in touch with either of us. Thanks in advance for supporting a project that should benefit you and your community, and many other intentional communities as well.